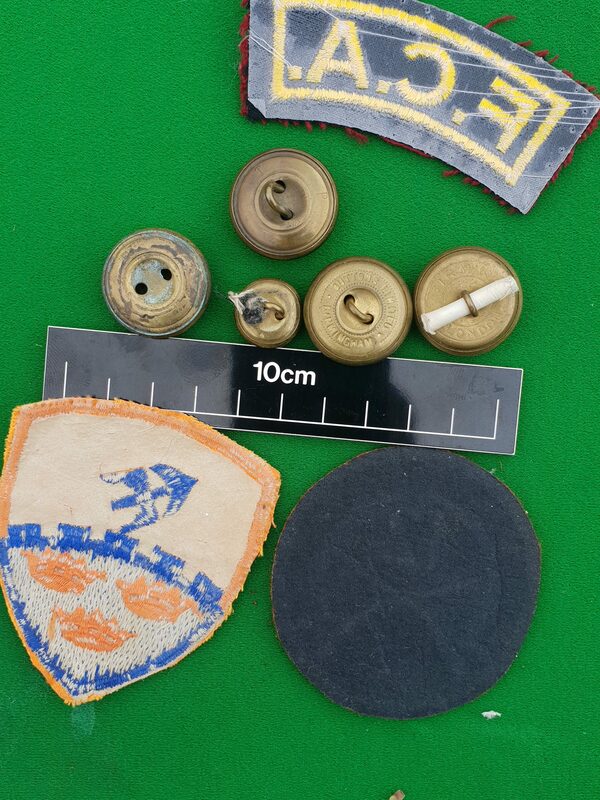 Nice assortment including 2 Southern Command related flashes, FCA cloth title and 5 brass buttons. 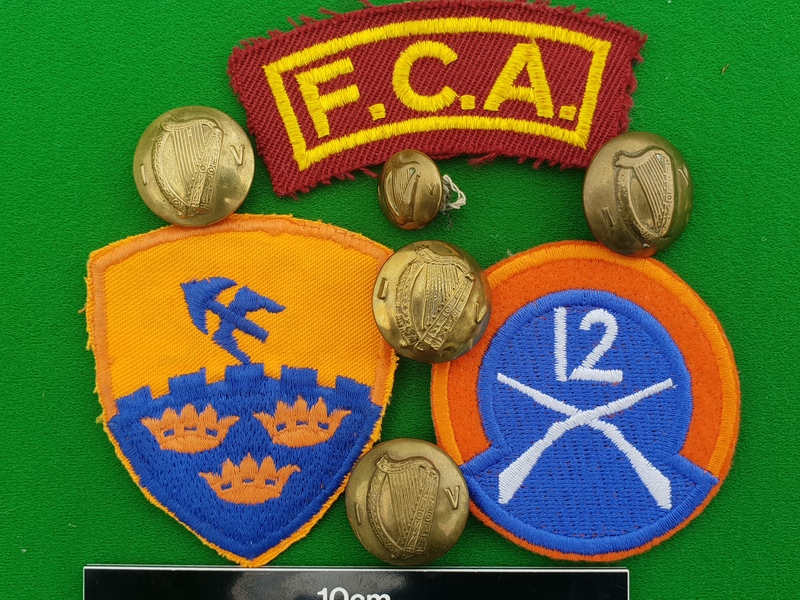 (a) 12th Infantry Battalion flash, this is an old obselete cloth shoulder flash in wool – excellent condition. (b) An old Southern Command flash. 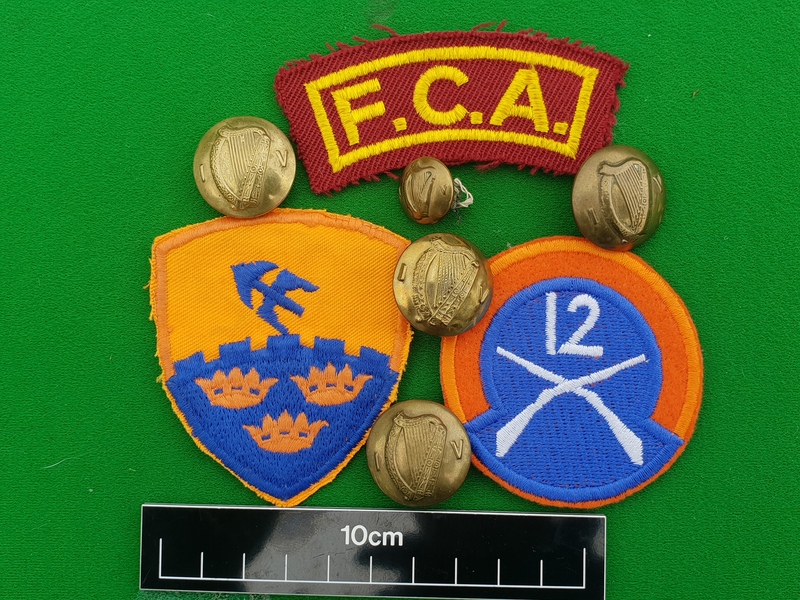 (c) Obselte FCA shoulder title. 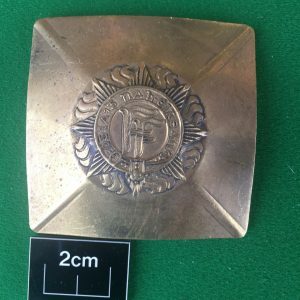 (d) Large Irish brass button with P&T maker mark to reverse. 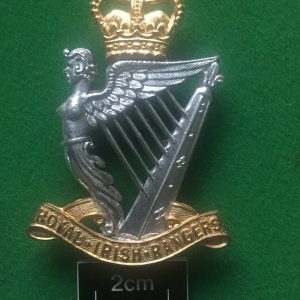 (e) Large Irish brass button with P&T maker mark to reverse but with button hole loop missing. (f) Large Irish brass button with Firmmins maker mark to reverse. 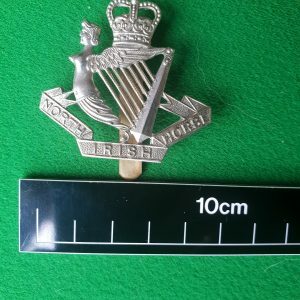 (g) Large Irish brass button with maker mark – buttons Ltd. Birmingham. 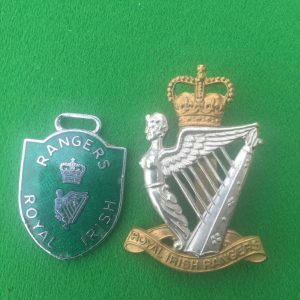 (h) Small Irish army button with no maker/retailer details to reverse.